Kate Browning Funds Pollution Control - Dec. 2008:Storm Water Remediation Project to Upgrade Four Critical Drainage Locations on CR-21. Coalition Identifies Storm Drains Dumping Directly into Carmans River - June, 2008 - Location of Upper Lake Storm Drains dumping directly into Carmans River. Presentation @ Yaphank Taxpayers & Civic Assoc. Meeting. DEPARTMENT OF ECONOMIC DEVELOPMENT AND PLANNING. 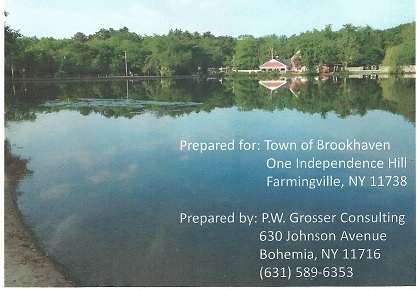 That in accordance with the provisions of Town Law Section 130, Town Law Section 265, and Municipal Home Rule Law Section 20(5), a public hearing be held by the Town Board of the Town of Brookhaven at the Town Auditorium at Independence Hill, Second Floor, Farmingville, New York 11738, on June 4, 2013 at 6:30 p.m. to consider enacting Introductory Local Law #_________of 2013 by repealing and replacing Chapter 13 of the Code of the Town of Brookhaven entitled, “Boat Control”, §13-5.1 entitled “Outboard motors restricted”. It is the intent of this amendment to prohibit the operation of a motorboat other than a motorboat using an electric motor to propel same on the Peconic River, Willow Lake or Lilly Lake f/k/a Upper and Lower Yaphank Lakes within the Town of Brookhaven. RESOLVED, that the Town Clerk of the Town of Brookhaven, in the County of Suffolk, State of New York, is hereby authorized and directed to publish the notice of the time and place of such hearing at least ten (10) days in advance of such time in the South Shore Press, a newspaper which has a general circulation in said Town. 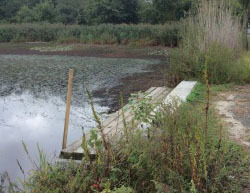 We compiled a list of questions regarding the upcoming dredging of the Yaphank Lakes. The answers were supplied by Chic Voorhis, of Nelson, Pope and Voorhis Environmental Consulting Firm. WHEN WILL HYDRORAKING BEGIN - Expected to begin later this week. WHEN WILL DREDGING BEGIN - Expected to begin around July 1st. WHEN THEY FINISH HYDRORAKING WILLOW LAKE WILL THEY CONTINUE ON TO LILY LAKE WHILE THEY BEGIN DREDGING WILLOW LAKE - I don't think so; they'll need the full month to set up pipe and grade the dewatering area. I expect that dredging will be sequential after hydro-raking is complete. HYDRORAKING WILL CREATE A LOT OF SEDIMENT, WILL THIS CREATE A PROBLEM WITH THE FISH PEOPLE - Silt curtains will be used to contain sediment. 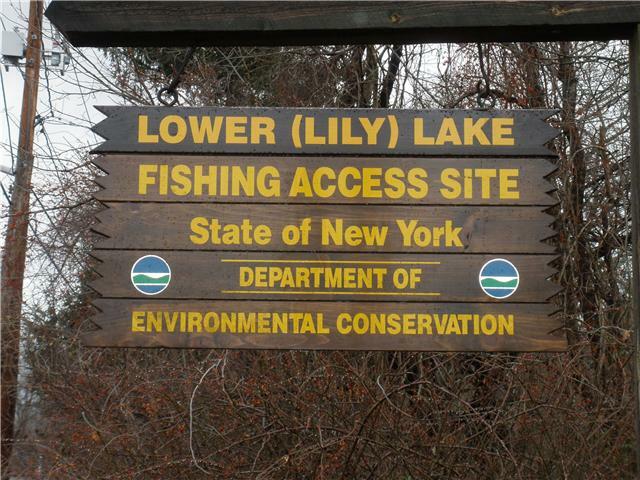 WHERE IS THE VEGETATION GOING TO BE STORED BEFORE IT GOES TO THE LANDFILL, OR IS IT GOING DIRECTLY ONTO TRUCKS TO THE LANDFILL - Vegetation will be placed on the Town park property for Upper Lake and the NYSDEC Boat ramp for Lower Lake; the material will be removed relatively quickly so it does not accumulate. HOW IS THE DREDGE PIPE GOING TO BE RUN - Down the River, down Lower Lake, north on Yaphank Avenue, east on East Main Street. IF IT IS GOING TO BE RUN IN THE STREAM BED, WHERE WILL IT COME OUT AT LILY LAKE - it will come out just north of the dam. IF IT IS GOING DOWN MAIN STREET, WHAT SIDE OF THE ROAD - Down the south side of East Main Street. 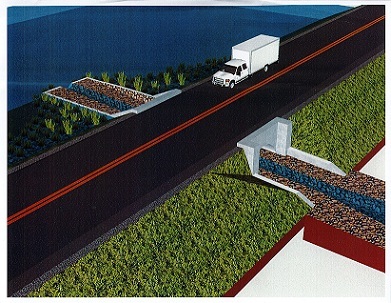 WHEN IT HAS TO CROSS A ROAD WILL THE ROAD BE CUT AND THE PIPE BURIED, OR WILL IT LAY ON TOP OF THE ROAD AND BE BRIDGED - It will be directionally drilled, or saw cut and placed beneath pavement with pavement restoration after the pipe is removed. The road will not be bridged. WHERE WILL THE AUXILARY PUMPS BE SET UP—HOW MANY - I don't know exactly at this time. I expect at least 1 booster along the lake route. We will obtain a work plan from the contractor with more details. HOW MUCH SITE WORK NEEDS TO BE DONE AT THE DE-WATERING SITE - A berm will be created on the south side to "close the contours. Scraping of less than 1 foot of material is needed to create the berm. I KNOW ACETONE DISAPATES RATHER QUICKLY, WHAT ABOUT HEXACHLORAPHINE ---IS THIS A PROBLEM - No, hexavalent chromium was of concern only because the lab method resulted in a limit of detection that was greater than the guideline. A subsequent TCLP test was completed, and demonstrated that concentrations were not significant. HOW WILL THE DE-WATERING OF THE LAKE EFFECT THE DREDGING ? THERE WILL BE A LOT OF WATER COMING OUT OF THE LAKE- WILL THIS EFFECT THE HOURS OF OPERATION SO THAT THE LAKE CAN REPLENISH ITSELF - Pumping is allowed 12 hours per day for 6 days per week unless streamflow at Upper Lake is below 2000 gpm; in this case, dredging will occur 5 days a week for 8 hours per day. The river south of the lake will still receive subsurface outflow. The off dredging hours are expected to be sufficient to allow the lake to rebound and the river to flow. WHAT ARE GOING TO BE THE LIMITS OF THE DREDGING? AT WILLOW LAKE YOU SAID YOU WERE GOING BACK UNTIL THE STREAM STARTS---WHAT ABOUT LILY LAKE - A map was prepared and provided with the bid documents. No closer than 10 feet to shorelines, and areas that are less than 4 feet in depth in the upper parts of the lakes will not be able to be dredged. WILL THERE BE ANY PROVISION MADE TO SAVE THE WILDLIFE - The dredged area will be surrounded with silt curtain, therefore, aquatic wildlife will avoid the dredging area. Other mobile speces will avoid the area when there is activity. 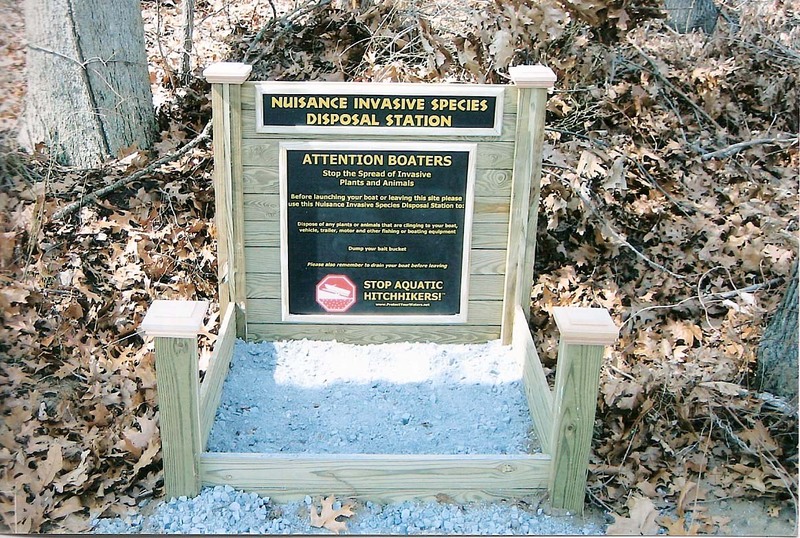 NYSDEC set the dredging window from June 1 to October 31 to protect spawning fish species. 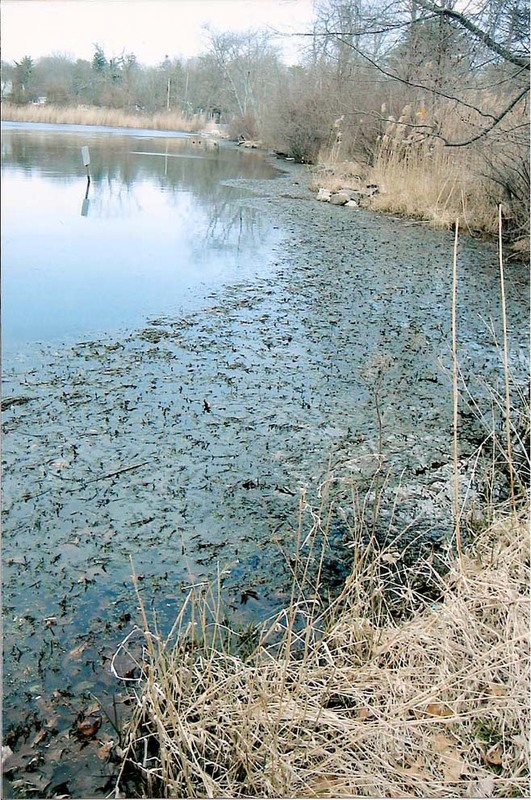 The official DEC Permit to dredge the lakes has been released. Work can now proceed. Many thanks to all the individuals and State and Local agencies that have been involved in this long-running effort to clean up the Yaphank Lakes. 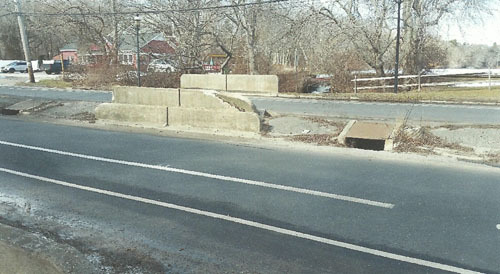 The Coalition to Save the Yaphank Lakes, working with Brookhaven Town Councilwoman Connie Kepert and The Yaphank Historical Society, received funding for a project to remove the old chain-link fencing, and install new, historically-accurate white picket fencing, to match the original fence shown in the photo below. The old fencing is gone and the site has been graded for the new installation. Stay tuned for pictures of the completed project. One more example of restoring a lovely part of the past to the present community of Yaphank. "The recommendations of the Protected Lands Council included in this study pertain to all public land north of the Long Island Expressway, extending to the existing Paumanok Path Greenbelt Trail in the Whiskey Road area. East-west boundaries generally conform to the watershed limits except where logical connections go beyond those lines." "A study group is expected to develop guidelines for protecting the 10-mile river from private development. There are presently no special protections for private lands that border the Carmans, which runs from Middle Island to Shirley." "In what the participants lauded as a watershed moment in protecting Long Island's environment, Brookhaven and other government officials joined environmentalists Wednesday to outline an agreement for preserving the pristine Carmans River. 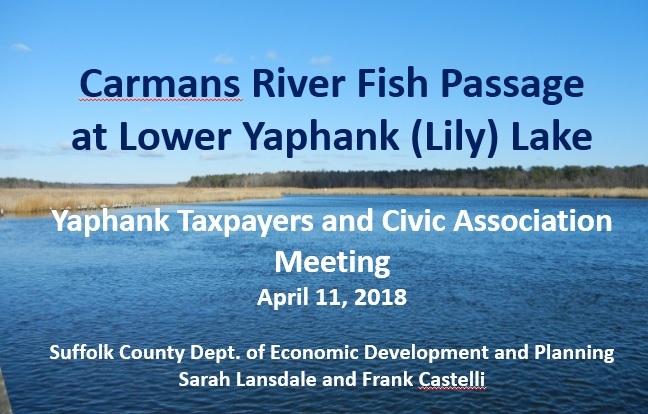 Standing on town parkland by the river in Yaphank, Brookhaven Supervisor Mark Lesko announced the town was forming a Carmans River Study Group to develop guidelines for protecting the river from polluting development. Currently there is no special protection for private land bordering the 10-mile stream." On October 4, 2010 the Carmans River Protection Working Group convened to review the consultants findings and recommendations. The Working Group crafted their own recommendations which they hope will be adopted by the Town of Brookhaven and Suffolk County. Suffolk County, and their consultant, Nelson, Pope, and Voorhis, held a public meeting to present their work to date to all interested members of the public. Longwood Board of Education vice president Daniel Tomaszewski drew the most questions from the Legislature over his concern that the number of school-age children Mr. Levy has said the project would generate -- an estimate he said is "too conservative." Mr. Levy has stated in several public settings that the proposed one- and two-bedroom units would result in fewer than 100 new students in the district. Legis. Louis D'Amaro (D-North Babylon) said Mr. Levy has indicated to him that the project might generate "a couple-hundred" new students. Mr. Kent said the county examined 14 condo complexes in the Longwood School District and learned they produced a total of 4,434 children. "That's .15 children per unit," he said. Over twenty environmental and civic groups join forces to protest the Legacy Village Project proposed by Suffolk County Executive Steve Levy..."We request that the County Legislature table or disapprove this resolution pending completion of 1) a full environmental impact statement (EIS) on the proposed surplus declaration and transfer program and 2) the Carmans River Groundwater Watershed Preservation Plan study on which the Town of Brookhaven and the Central Pine Barrens Commission are embarking..."
Prior to their Annual Meeting, the Carmans River Partnership leaders took a field trip to see first hand the scope of the problems they face keeping the upper reaches of the Carmans healthy. They found ATV damage, garbage and dumping, and illegal posting of land. Many Thanks to local Cub Scout Pack #79 for their work on Saturday. Pack 79 showed up at 9:00AM sharp and planted a beautiful garden around the new sign at Lily Lake. Thanks again for all your help !! CSYL, working with Brookhaven National Lab, Brookhaven Town Environmental Protection, and Boy Scout Troop 433 of Middle Island, has initiated a project to monitor water quality at multiple sites from Bartlett Rd. to Willow Lake spillway. We will be measuring TDS, Salinity, pH, Conductivity, Temperature, and Dissolved Oxygen, as well as Nitrate-Nitrogen values, with samples taken at five monitoring sites, from Bartlett Rd. to just below the Willow Lake spillway. Brookhaven Town Highway Dep't. personnel launched the Peconic Queen this Saturday, April 4, to begin weed harvesting on Lily Lake. It was cold and quite windy, but the Peconic Queen seemed to handle & function well. Each pass of the harvester brought back 2 full payloader buckets. The quantity of the weeds brought out of the lake was amazing. It looks to be a good start at keeping the weeds down until a final solution can be put in place. Water Sample Cover Letter, BJ Robinson, Suffolk County Dept. Public Health . Sample ID #240-169 taken at Lake spillway, west bank, Oct. 21, 2008. Sample ID #240-172SW taken at Lake west shore, Dec. 3, 2008. Sample ID #240-172NW taken at Lake west shore + 100', Dec. 3, 2008. Sample ID #240-172E taken at beach, on east shore, Dec. 3, 2008. 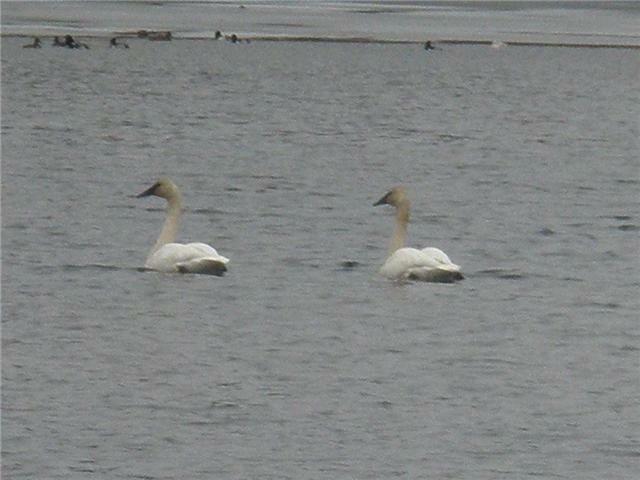 "Two TRUMPETER SWAN (S) were recently identified on Upper Lake in Yaphank. These birds presumably moving south from northern New York and the Great Lakes region stem from an introduced population released in New York and adjacent Ontario and are not yet on the New York list. 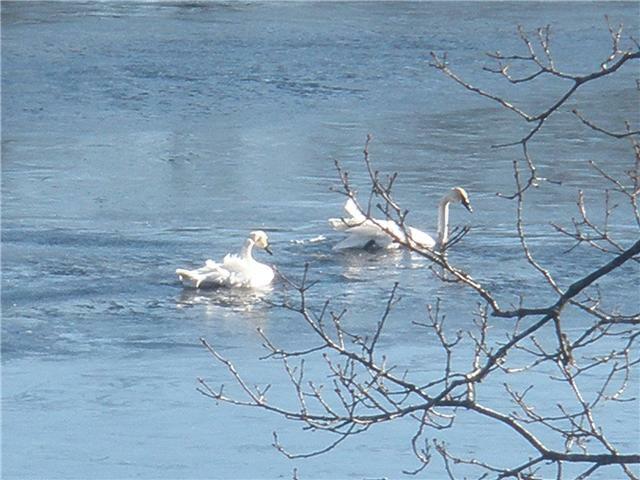 Discussed annually by the New York State Avian Records Committee and based on criteria established by NYSARC for acceptance of exotic species Trumpeters are still several years away from being added to the state list. 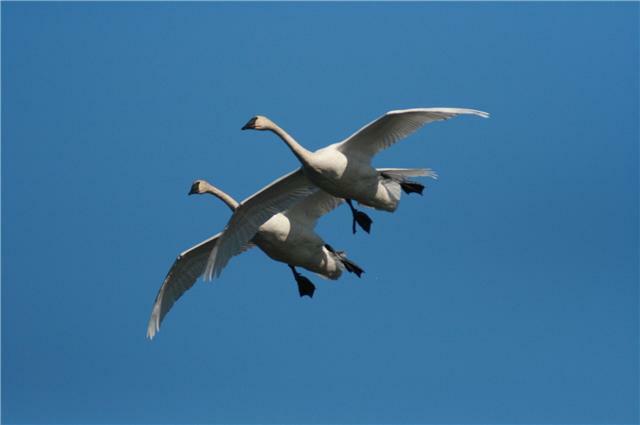 But reports of sightings are encouraged so that their movements away from their few current breeding sites can be monitored." Four Seasons of Recreation ! Willow Lake froze over hard this January, and despite having to shovel a few inches of snow off the surface, nothing stopped the hockey games. CSYL, working with Brookhaven National Lab, Brookhaven Town Environmental Protection, and Boy Scout Troop 433 of Middle Island, has initiated a project to monitor water quality at multiple sites from Bartlett Rd. to Willow (Upper) Lake spillway. Stay tuned for more news. Hopefully, real work can begin in early March, 2009. Brookhaven Town Highway Dep't. personnel launched the recently purchased harvester, Peconic Queen, for a trial run in Lily Lake. Other than a small hydraulic system problem, all systems were go. The Peconic Queen will return in the early spring for the first harvest of invasive weeds! CSYL has contacted John Rouse, Sup't. 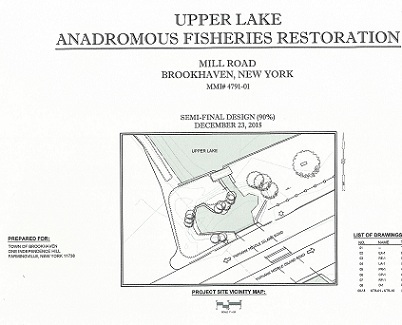 of Highways, Brookhaven Town, for information and status on the Stormwater Management Plan of Action for Upper and Lower Lakes in Yaphank. CSYL Members spruce up the area; Dr. Steve Abrams, of Stony Brook's School of Marine & Atmospheric Sciences, volunteers his time to create the first Fish Inventory Report for the lakes. Trout Season 2008 Opens at Upper Lake. 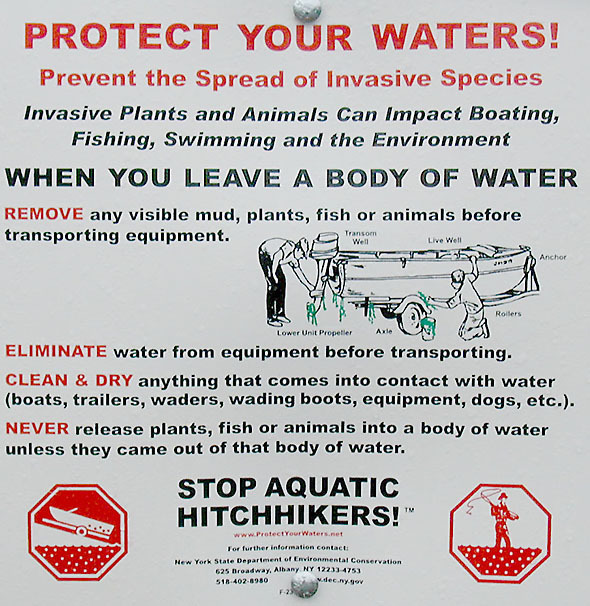 As some of you may know, the community of Yaphank is very concerned about the invasive plants in the Upper and Lower Lakes. During the past few months there have been meetings with various elected officials on the State, County and Town level to see if there are any options available ... "